The Metrograph just wrapped up a two-week-long film series that showcased over three decades of films starring Hong Kong actress Maggie Cheung (張曼玉, Zhang Manyu). When asked why highlight this actress in particular, Aliza Ma, Head of Programming at the Metrograph, explained, “Not many people understand how well Maggie Cheung curated her own career.” Cheung’s evolution can be traced from serving as a beauty pageant contestant when she was 18, to becoming the first Asian actress to win a Cannes Film Festival prize before leaving film to serve philanthropic causes. This study of her career is timely, as we search for how activism can be interwoven within a diversity of industries. Many Western critics describe In the Mood for Love (2000), Cheung’s most famous film, as a universal movie due to how it captures feelings of betrayal, loss, and longing typical of any romantic relationship. However, this shallow analysis of an authentically Hong Kongese film robs it of credibility to Hong Kong’s culture, history, and its specific commentary on it. Western application of the adjective “universal” celebrates relatability to Western culture. By instead applauding its difference from Western romances, I argue that Cheung’s performance captures a tension that is distinctive to Chinese culture–one where filial piety and fear of societal retribution inhibit many individual, instinctual drives, for women in particular. 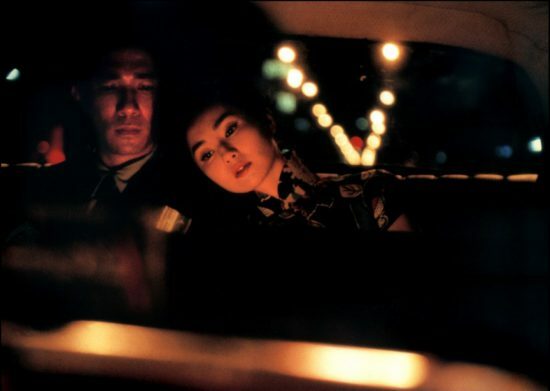 Once, while watching In the Mood for Love with a friend, I heard them audibly yawn, demanding, “When are they going to do something?” Of course, those familiar with Wong Kar Wai’s romantic drama will know (spoiler alert!) that Maggie Cheung and Tony Leung’s characters never consummate or act upon their attraction to each other. Like these characters, the viewer’s feelings are teased and tantalized, but left painfully unfulfilled. The film is set in 1960s Hong Kong. Though women, at this time, were encouraged to enter the workforce, arranged marriages were common, and divorce carried social stigma despite its recent legalization. Lives were governed by layers of political and sexual repression. In the Mood for Love depicts the resulting feelings of claustrophobia, entrapment, and scopaesthesia (a sense of being watched). The film remains thrilling by focusing on the sensuous romance between Maggie Cheung and Tony Leung’s characters, despite their Teflon™-grade integrity that prevents them from pursuing the full-blown affair that their respective partners have engaged in. Maggie Cheung began her career with stereotypical “porcelain vase” roles, where women play vapid accessories to the male protagonist: the jealous girlfriend in Police Story (1985) and love interest in As Tears Go By (1988). Later, Cheung began to take more decidedly political roles, many of which explore this same heteroromantic asexuality as seen in Mood for Love. In Days of Being Wild (1990), Cheung occupies the undesirable role of an ex-lover, Lizhen, who witnesses her former lover embark on a new relationship with another woman. The subsequent events that unfold–being disposed of and disregarded without remorse, finding life meaningless without a man to define it–reveal the stunted value of women in China’s society. Afterward, Cheung’s character befriends a handsome neighborhood policeman. Viewers may hope for something more to happen between them–for Lizhen to be granted the kind of wholesome relationship she deserved–but again, receive no gratification. Lizhen choses not to pursue another relationship for lack of faith in the system instilled by the insensitive actions of her previous romantic partner. The platonic relationship between Lizhen and the policeman subverts heteronormative expectations in a sophisticated way, particularly in the scene where the Lizhen asks, “Can we chat?” “I can’t help you about your boyfriend,” the policeman replies presumptuously. “I just want to chat,” emphasizes Lizhen. One can sense disdain in her voice for the assumed end-goal of any male-female relationship. The release of another sexless film Irma Vep (1997) coincided with Hong Kong’s release from British rule, and confronts the idea of the Asian body as Other when transplanted into a European city like Paris. In the film, Cheung plays an actress who is hired by French filmmakers to play a sexually deviant character clad in a glossy, full body latex suit–an ironic foil to her off-duty self as someone who seems uninterested in anyone sexually. At one point, Cheung is told that another woman is interested in her and laughs it off, while continuing to seek friendship with this woman. Cheung as Irma Vep makes reference to Les Vampires (1915-16) starring Musidora, who similarly took feminist control of her career as Cheung did. But, Cheung’s narrative bears more similarity to Irma Vep, the last breath (2013/15), directed by Michelle Handelman, which understands the vampire as a figurehead for sexualities and identities that must be masked and hidden under the covers of night. Jean-Pierre Léaud‘s version of Irma Vep emphasizes just how contrived female sexuality is in the public imagination, particularly for women of color like Cheung, who performs with striking believability to the Director’s instruction, and is left unable to explore her own sexuality after having it defined for her by others. Irma Vep elucidates the great divide between real and expected notions of personhood, private and public image. Whereas Asian women are exoticized in the Western eye due to the continued legacy of Orientalism, the complexities of their real sexualities are often unacknowledged in a society so willfully inept at accepting sexual diversity and difference. Cheung’s decision to participate in films that explore asexuality, platonic love, and sexual repression can be compared to her refusal to accept many roles offered by Hollywood over the years. The limited roles for Asian women offer exposure in America, yet often perpetuate racist stereotypes; her contemporaries Lucy Liu (Charlie’s Angels) and Michelle Yeoh (Tomorrow Never Dies) were pitted into roles that exoticized and fetishized Asian women. Cheung further examined her strife as an Asian actress by starring in Centre Stage (1992), which was based on the true story of Chinese actress Ruan Lingyu. Ruan committed suicide after the tabloids exposed her affair with a married man. Cheung taking on this role can be perceived as a reflection on her own experiences as a celebrity who is expected to belong to and conform to the sexual norms determined by the public eye. Beyond their performances captured by reels of film, actresses are measured by their political affiliations, relationships, and offspring. To note, Ruan was also championed as the “Chinese Greta Garbo,” establishing that the highest level of achievement was being analogous to a Western counterpart. Oy. At the same time, sexual apathy was a reality in China, and could be seen as a coping mechanism for trauma and a direct consequence of social pressures to adhere to one sexual identity. Asexuality defied all the demands of Chinese and Western culture. Both cultures, which incubated an obsession with heteronormativity, crescendoed in China around the blossoming of the free market in 1978. More concrete examples of the environment’s toxicity can be found in documented cases of sham marriages and medical diagnoses of asexuality as a psychological dysfunction. Cheung’s selective participation in certain films reveal an interest in studying Chinese womanhood outside of the heterosexual monogamy that was demanded of Chinese men and women on a daily basis. Her films, in their languid portrayals of moments outside conventional relationships, highlight how asexual relationships harbor romanticism that is just as lush as it is misunderstood. 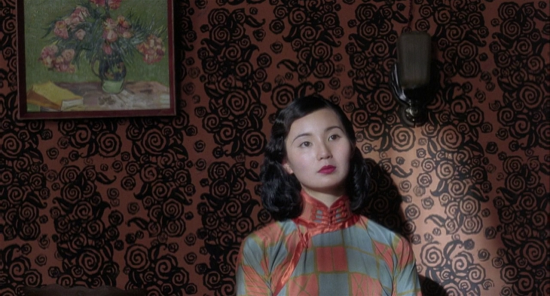 Tags: Aliza Ma, As Tears Go By, asexuality, Centre Stage, Days of Being Wild, Film, Hong Kong cinema, In The Mood For Love, Irma Vep, Irma Vep the last breath, Jean-Pierre Léaud, Les Vampires, Maggie Cheung, Michelle Handelman, Musidora, Police Story, The Metrograph, Tony Leung, Wong Kar Wai. Bookmark the permalink.